I was born an adventurer. The thrill of exploring new places is an addiction. 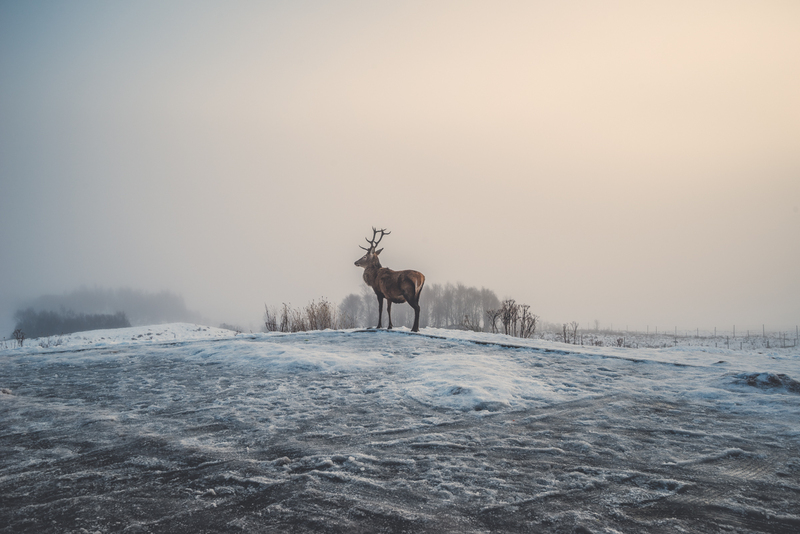 The speed and time versus the sight and the sound of what is around me all adds up to why I do this. I wanted to do something special with a car that is special in a place that is special. 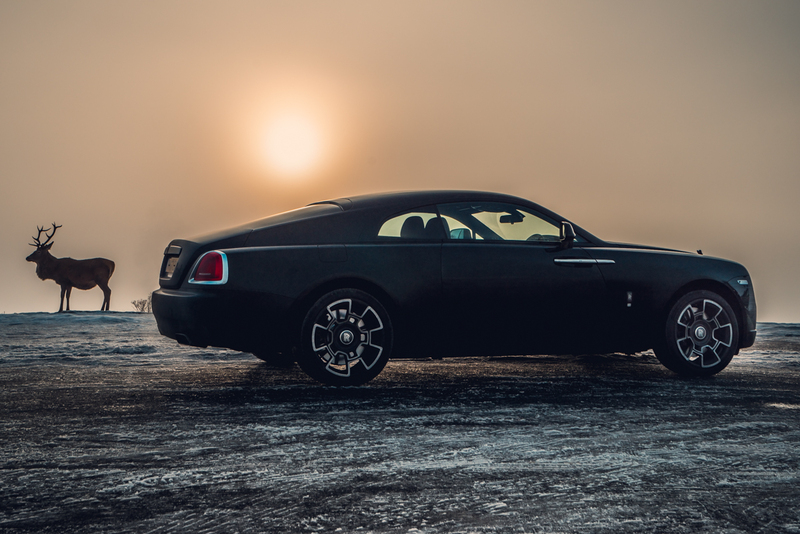 Here comes the Rolls-Royce Wraith Black Badge. I had my heart set on Scotland once again. Why? it’s my place of zen. It calms me, inspires me and drives me to do more on my return. It’s also one of the most beautiful places on earth and I want to show that to you in more then words. 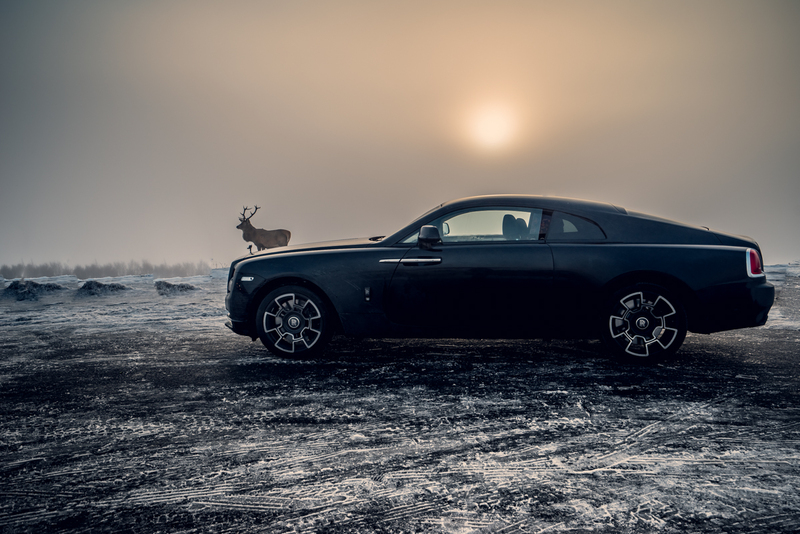 We unloaded the Wraith Black Badge off a truck in a wintery London only moments before leaving toward the even colder North. The hold-all was packed for a long weekend and we included our Sony Alpha A7R plus other various gadgetry for the road. Snow hats and winter jackets all packed in, there was plenty of space for boots, bags, food, drinks and whatever else we needed. The Rolls Is Practical. 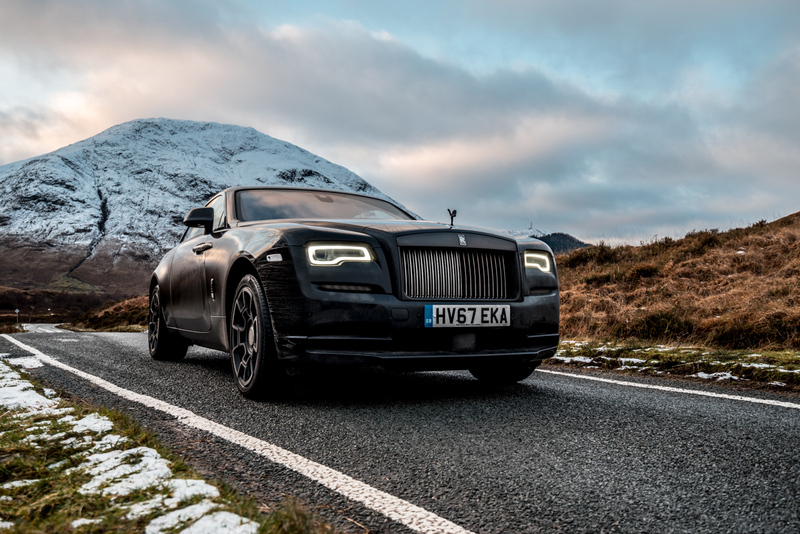 Taking grand touring to the next level, the Wraith is already a stunning machine, with every attention to detail, but the Black Badge specification takes the car to new heights. Especially for myself and others of similar taste. It defines an edge to ones character. Mysterious, darker, edgier and sharper then the normal car the Black Badge is made to suddenly catch the eye and disappear in a flash. The suspension is also a little stiffer, so it feels that bit more sportier to the normal Wraith, a most welcome feature considering the performance of the vehicle. The engine within is RRs 6592cc twin-turbocharged V12, which produces 624bhp and a maximum torque of 870Nm. Mind-blowing figures. The sprint from 0-60mph is achieved in a mere 4.3 seconds with a limited top speed of 155mph. This car has a curb weight of 2440kg. You can’t imagine what this feels like. 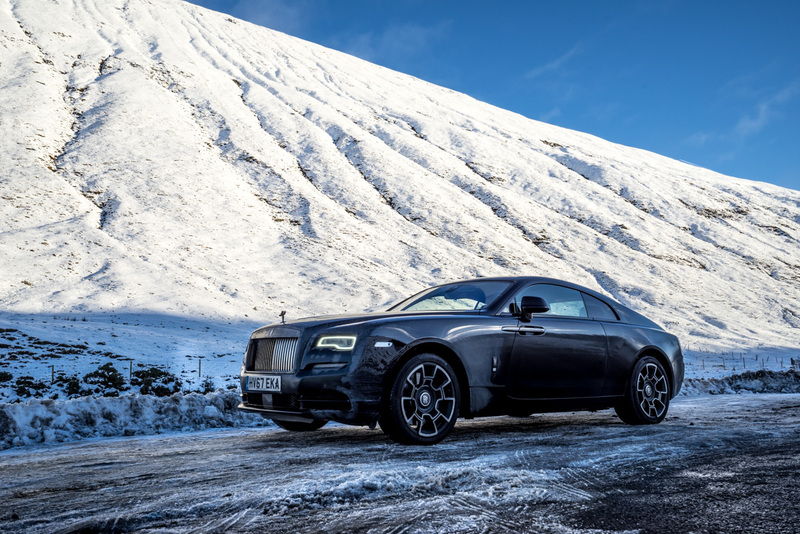 Having driven the Black Badge Wraith and Black Badge Ghost previous to this trip, I was accustomed to the huge amounts of power and torque on demand but for the first time ever, I would be venturing into new freezing climates and onto new slippery surfaces. 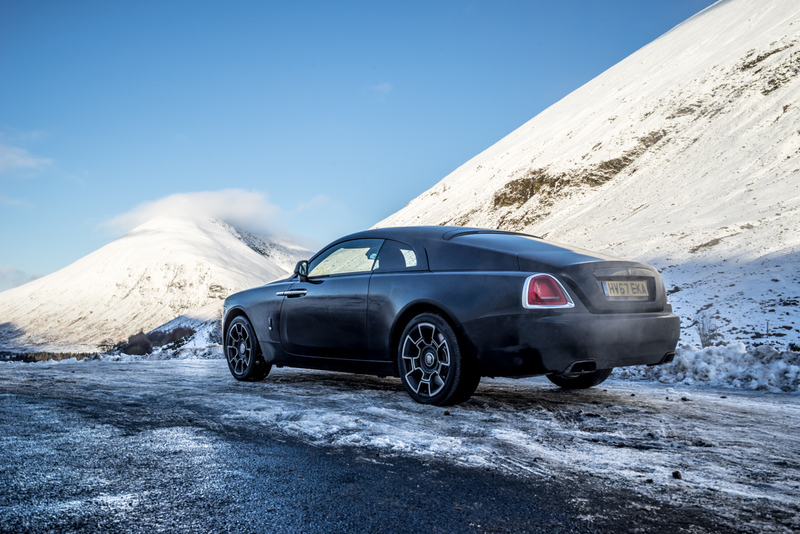 We encountered both ice and snow, and the Wraith simply tackled it all with ease. The traction control really worked well to balance the car and maintain perfect performance and ride comfort at all times. 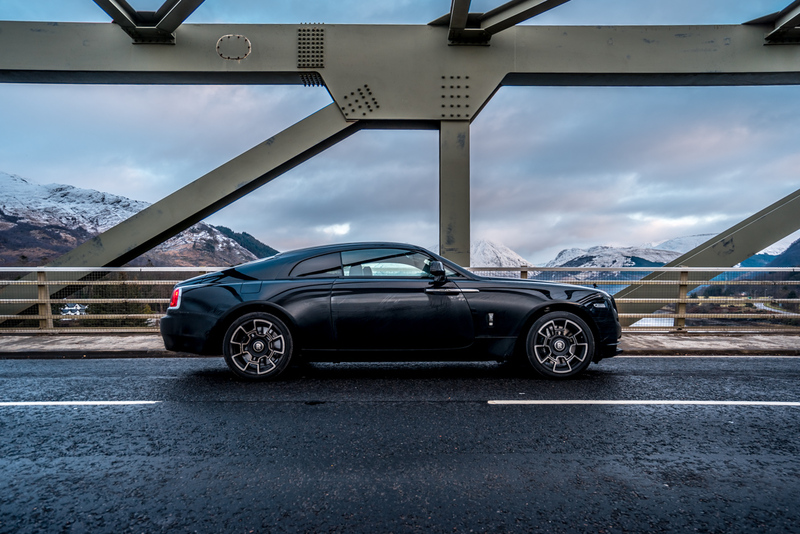 The Wraith Black Badge is truly athletic and sporting for such a heavy, comfortable four-seater. I would call this car a Super GT. There is really nothing like it. Where do I start? 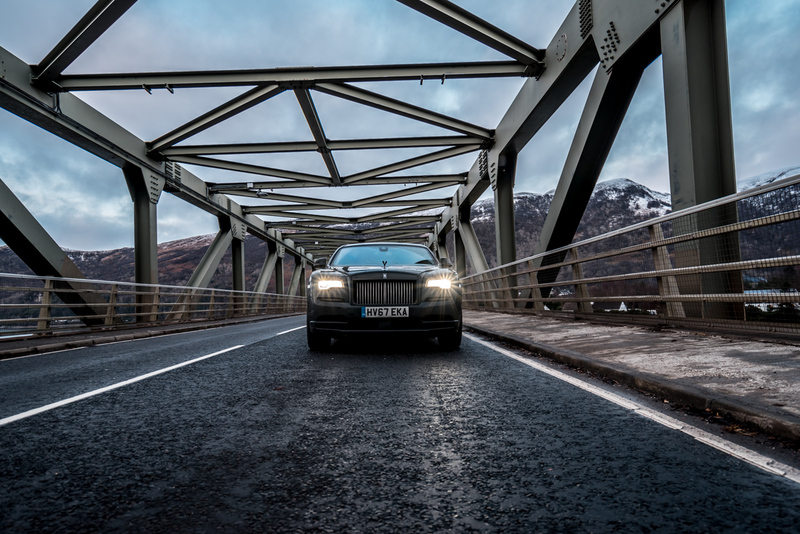 With the Starlit Headliner that elegantly lights the car and intensifies the ambient mood of the Wraith? Or with the deep pile carpets that are so sumptuous, you want your passengers to experience them bare foot… How about neither. How about we start simply with the seats and how gloriously comfortable they are on long drives. Full leather of course, heated and ventilated in the front which is beautiful to the touch. It is never a joke when people compare this car to a 5* hotel room on wheels. The Technical Fibre Fascia, which consists of woven carbon fibre and aluminium sets a prestigious feel darkening the mood and emphasising the black in the car. Even the air vents are now a darkened chrome. 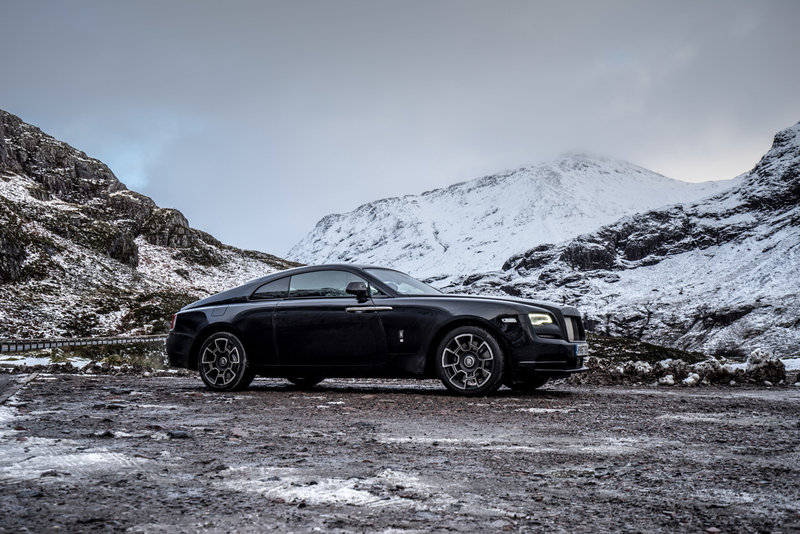 Continuing deep into the highlands, we reached Glencoe and explored the snowy mountain passes with the Wraith. At this time we are around 4 hours north of Glasgow, and truly in our own world. 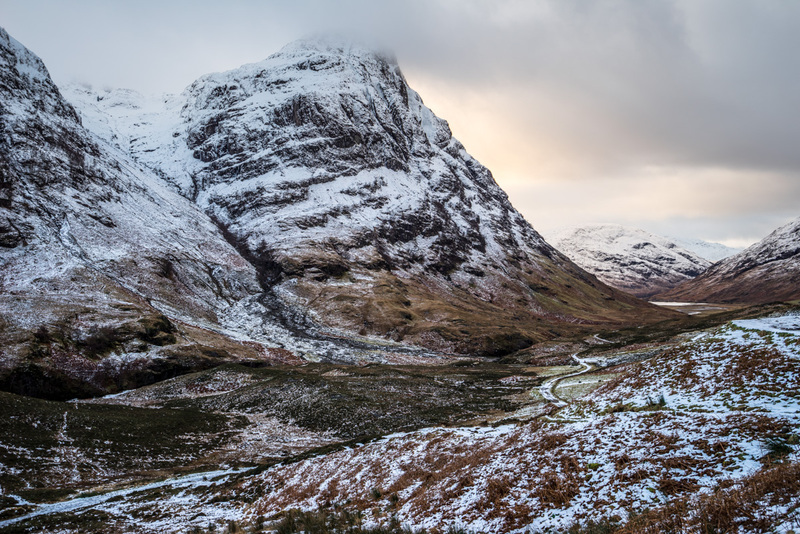 The time seems to stop as you thunder through these beautiful surroundings. 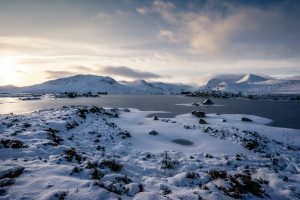 With views of frozen lochs and icy mountain peaks in the distance and all around us, Scotland just wins. Time and time again. It’s truly a special feeling to disconnect from the outside world and have these moments to yourself. During our trip we discovered new places, opened a new chapter and explored a new page. We are refreshed for 2018! Like I said. I was born an adventurer. The thrill of exploring new places is an addiction.